The Hyacorp range consists of advanced dermal fillers used for restoring of volume and contouring of body and face surfaces. 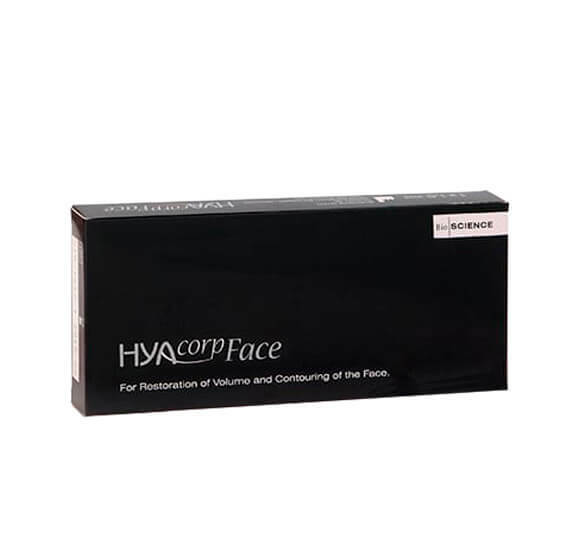 Hyacorp fillers contains a clear and viscous gel of cross-linked hyaluronic acid. The products vary in crosslinking degree, particle size and concentration of HA. Hyacorp is supplied in special syringes and designed for single use only. Hyacorp Body Contouring MLF 1 contains a clear viscous gel of cross-linked hyaluronic acid and is an absorbable skin implant with a high level of purity used as a body filler. 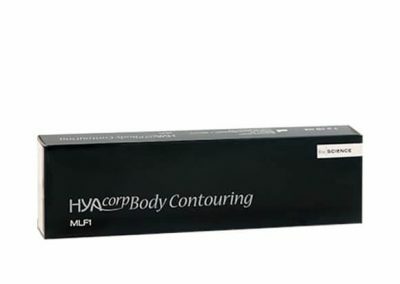 Hyacorp Body Contouring MLF 1 is a medical device intended for single use only. Hyacorp Body Contouring MLF 1 is specially designed for the body contouring and shaping of the areas buttocks, calves and correction of concave deformities. Hyacorp Body Contouring MLF 2 contains a clear viscous gel of cross-linked hyaluronic acid and is an absorbable skin implant with a high level of purity used as a body filler. Hyacorp Body Contouring MLF 2 is a medical device intended for single use only. 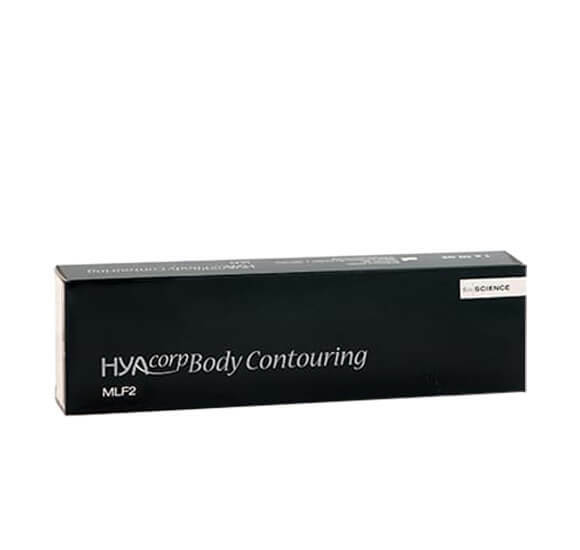 The special composition of Hyacorp Body Contouring MLF 2 is to be used as a means of restoring lost volume and contouring body surfaces and provides maximal volumizing. It is specially designed for the body contouring and shaping of the areas buttocks, calves and correction of concave deformities. 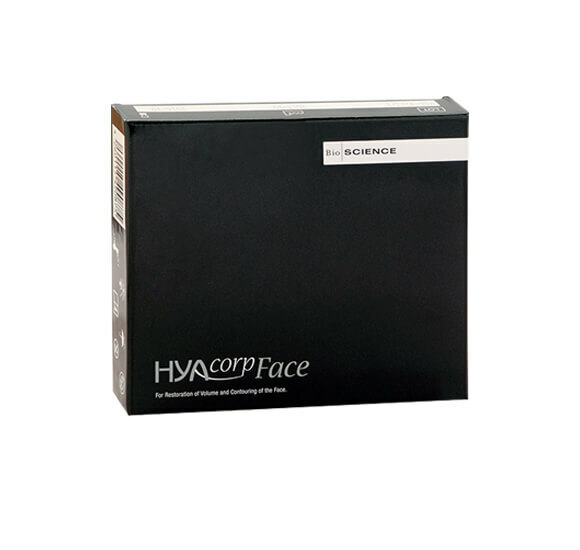 Hyacorp Face contains a clear viscous gel of cross-linked hyaluronic acid and is an absorbable skin implant with a high level of purity to help correct the volume of the face. Hyacorp Face contains a higher degree of crosslinking as it is required to treat deeper folds, wrinkles, nasolabial folds and contour defects. 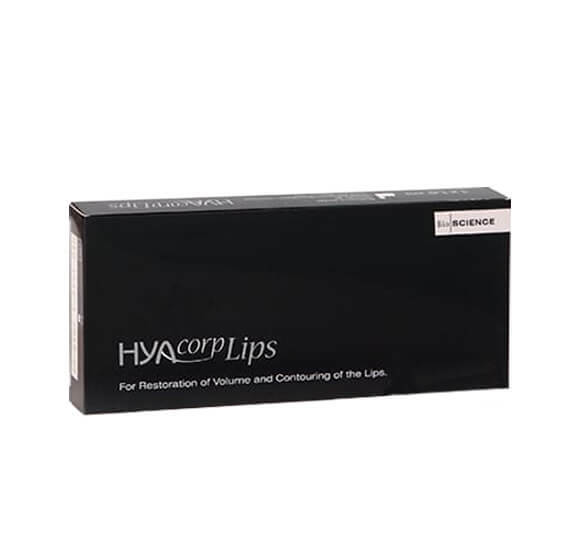 Hyacorp Lips is an absorbable skin implant with a high level of purity to be used for the restoration of volume and contour of the mid to deep layer of the lips dermis. 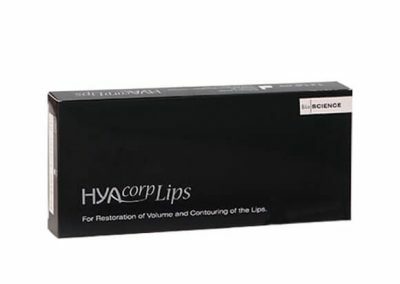 Hyacorp Lips can be used to achieve lip contouring and lip volume. Hyacorp Fine is an absorbable skin implant with a high level of purity used for skin moisturizing of the skin dermis. 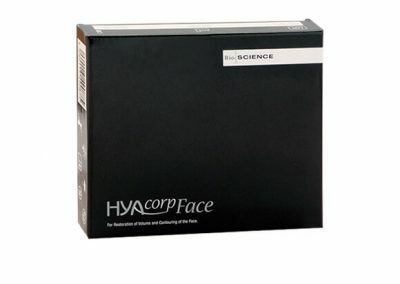 Hyacorp Fine is to be used for reducing wrinkles in the face, neck, décolleté and back of the hands.